Update: In a real nail-biter, the Fort Wayne Bomb Squad lost to the Grand Raggidy All Stars by only 6 points, with a final score of 161-155. The Fort Wayne SWAT team lost to Grand Raggidy Attack by a hard-fought 154-122. Thanks to both teams for traveling down to play with us, and a huge thanks to our amazingly loud and supportive crowd! The Fort Wayne Derby Girls will be hitting the track for their third home game of the year at the Allen County War Memorial Coliseum on Saturday, April 18th at 6pm. Doors open at 5:00 p.m. This event is a double header, with Fort Wayne’s internationally ranked Bomb Squad skating against the Grand Raggidy All Stars from Grand Rapids, MI. After the first game, Fort Wayne’s SWAT team will face off against the Grand Raggidy Attack. Partial proceeds from the night will benefit Bring It-Push It-Own It, a nonprofit organization that uses obstacle courses and peer mentoring programs to provide a supportive environment for teen girls from 6th grade through high school. All bouts are family-friendly events and everyone is invited to watch the great roller derby action. Tickets are $12 at the Coliseum Box Office. 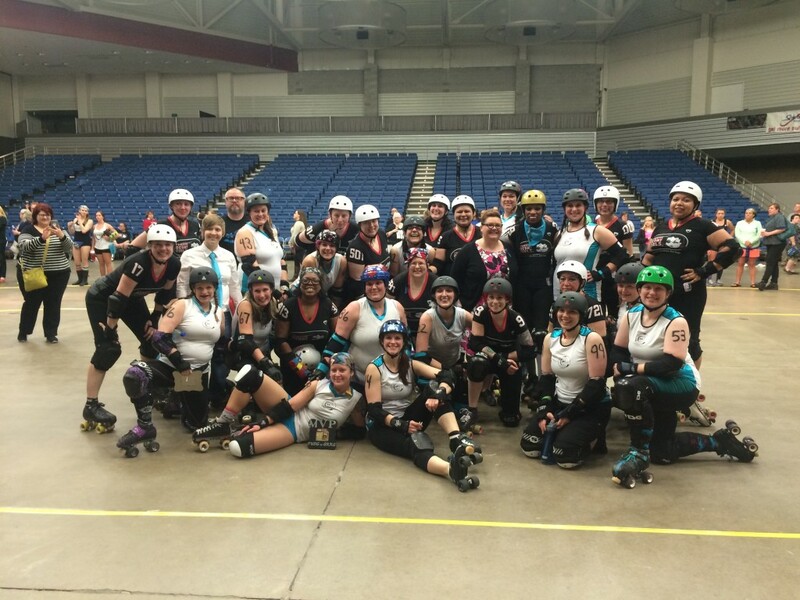 The Fort Wayne Derby Girls are proud to host their annual Military Night. Each guest that presents a military ID will receive one free adult ticket to our bout! Discounted tickets are available for children, seniors, and college students. Children 5 and under receive free admission. For more ticket info, check out the events page. Directly after the event, stop by Wrigley Field Bar and Grill on E. State Boulevard to help the Fort Wayne Derby Girls continue to celebrate their tenth season. Everyone 21+ is welcome to attend the after-party to meet and mingle with both returning and new Fort Wayne Derby Girl skaters. If you’re not able to make it out, you can check out all of the hard-hitting action on our live stream.